I know I answered this one in my previous Christmas Tag, but I will say it again, Mince pies with brandy sauce. I say this because it is truly the one thing on Christmas day that I eat, that I don't have at any other time of year. It is delicious and as soon as I see Mince pies in the store I feel all giddy and in the Christmas spirit, and as soon as I smell the brandy sauce being warmed up, I want to jump straight to dessert. 3: Favourite Day of Christmas. That would be Mariah Carey's 'All I want for Christmas' followed by 'Never had a dream come true' by S Club 7. But I pretty much love all the old classic British Christmas songs. 'The Santa Clause' and 'The Holiday', they both make me feel so happy inside and ready for the Christmas season. We always have crackers on Christmas day and New years day and its so much fun sharing them with each other and trying to win. My family likes to wear our paper hats and tell the jokes and laugh about how bad they are and how goofy the toys are. The ones my Mum gets usually have toys like marbles, tweezers, a mini sewing kit, clippers, magic tricks and paperclips in them. Christmas trees!! :) I adore my childhood Christmas tree with all its colour and sentimental ornaments, I could sit by it and stare at it all day long. I get so giddy when it's time to put it up. And this year I absolutely LOVE the new tree that my husband and I got, its the prettiest thing and it is definitely one of my new favourite things about Christmas. 10: Favourite Christmas Candle Scent. I smiled so big when I first saw the Samsung advert with Dax Shepherd and Kristen Bell, it is the most adorable advert ever and so so cute, I could just watch it over and over again. Also, when I came home my sisters showed me the Sainsburys advert and I do have to say that that bought a tear to my eye and I thought it was rather beautiful and is definitely up there too in being a favourite. Going to put some on, not all. Favourite Festive Food: Turkey, always think of Turkey when I think of Christmas dinner. And leftover for Sandwich. Favourite Christmas Song: Christmas Singles by Spitting Image it was a song from tv show called Spitting Images, 1980-1997, it catchy and funny, never stop listening to it (https://www.youtube.com/watch?v=Xb_OT9sk-U0&index=3&list=LL7CuedHapvTefg2lIDD3FPw) . Also Christmas Time by The Darkness. Favourite Festive Film: Home Alone 2, that all I can't think of and like. It also wanted me to go to New York. Don't know, Disney's Forzen. Favourite Christmas Decoration: Christmas Tree, an icon of Christmas. Wanted one when I was young but my dad don't want any of it. Now I got a small Christmas Tree in my room, like it small. 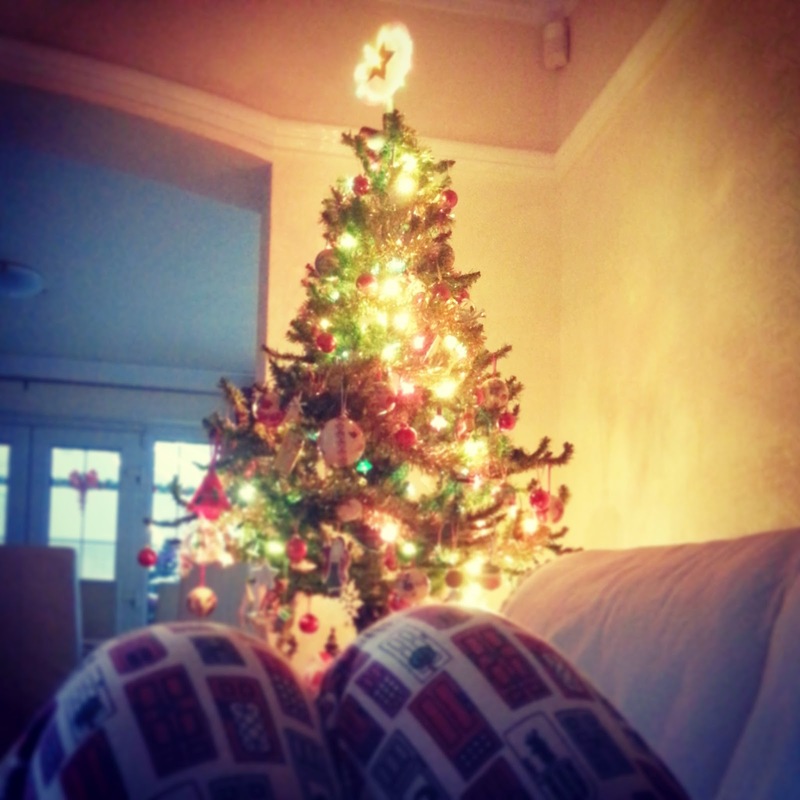 Favourite Place to Spend Christmas: At home. Sorry these are the questions I can answered. Loved this! Hope you had a fab time here,love!